Over here,we have problem of 'after big flood'! Great post. So true get out there and fish in the winter. 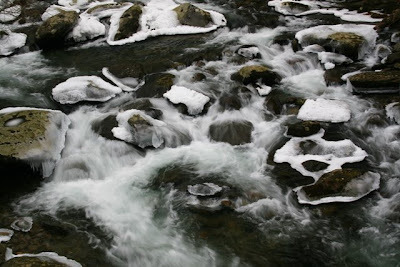 There is also less fishing pressure during the winter, and less fishermen means more fish for you. Great tips David! Great tips David. I'll remember them when I go fishing. 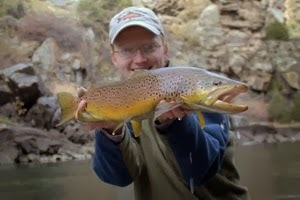 Great aadvice on winter fly fishing. Living in Colorado, this is great information for anyone wanting to fish and be successful in the winter. Some great pictures in this article. I really wish I had the chance to do some fishing during the winter months. Unfortunately, Winter likes to rear its ugly head here in a very harsh way. Glad you all found these tips useful. Its great living in the southeast because we can truly fish year round without waiting for the rare warm day. 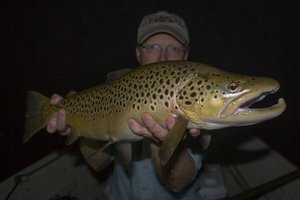 Warm enough to fish in the winter but stays cool enough to support trout through the summer...not bad! Very good tips...I would expand on the dries in cold weather angle. Last Thanksgiving (the last time I was up in the mountains), I did fairly well with the brookies on dries, even though the water was pretty cold. 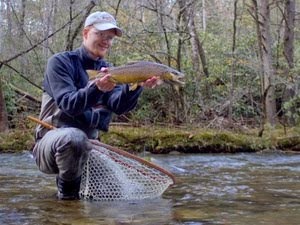 I think brook trout, given their preference for colder water than browns or rainbows, will therefore tend to be looking up at a lower temperature than the other two species. 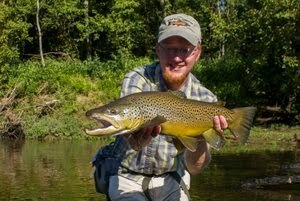 Anyway, it worked for me - I picked up far more fish on dries, although the big fish of the trip was on a bh prince. 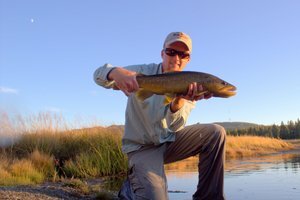 I agree with all this advice-- I recently outfished some guys that really know their stuff because I was basically just a little more willing to fish slower water and move my indicator all the way to my fly line to get down deep. I look a little silly trying to cast a heavy bottom dragging rig like that but... it catches the fish.